Take the time to ensure that the messages you deliver to your audience are clear. There’s nothing worse than a tweet that your users can’t understand. If you’re tough to understand, imagine what they think doing business with you is like. Make sure that you use keywords relevant to your industry so that your potential customers can find you when they’re searching for related tweets. (e.g. if you’re in the business of selling freshly roasted, high quality coffee; take the time to ensure that the appropriate keywords are included within your tweets). 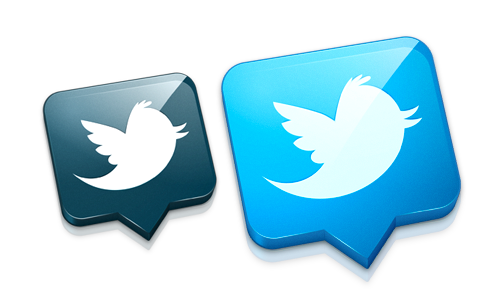 It is vital to deliver your message in 120 characters or less so that it’s easy for others to retweet or reply to your tweets. Because you only have 140 characters to work with (but your goal should be 120), shortening your links is absolutely critical to ensure that you can meet this goal. Equally important, many of the URL shortening services (e.g. bit.ly) provide you with valuable statistics that can help you to measure how engaged your audience is by knowing how many times each of the links you posted was clicked. Scheduling your tweets has two benefits. It can help you to ensure that your messages are sent out when most individuals are online and it helps spread them out to keep users engaged all day. Be careful when using hashtags. Make sure that they’re relevant to your topic and don’t include too many in a tweet. My recommendation is 2 or less hashtags per tweet. When you retweet, add a brief comment whenever possible. It provides context and value to your followers. If you retweet too frequently you overload your followers and risk being unfollowed. Choose your retweets wisely. You create connections by engaging with your readers, not by constantly preaching. Don’t treat Twitter as a traditional form of marketing or you’ll find yourself with little to no success. When you ask questions, you’ll be engaging your followers and learning more about them. Choose your questions wisely because it can result in answers that reveal to you opportunities where your products and services can be valuable to your target audiences. While using 3rd party apps to automate and simplify your social media efforts may seem like a fantastic idea, many of these 3rd party apps don’t deliver your message very well (e.g. “I posted a picture fb.me/NoContextAtAll”). 12. Always acknowledge and respond in a timely fashion to @replies to you. Whether your followers engage you, for positive or negative reasons, @reply to them and show them and your other followers that you’re listening and care about your audience. By being active you encourage other followers to engage as well. Well there you have it! If you incorporate these twelve tips into your daily social media marketing on Twitter you’ll start to reap the rewards of growing engagement from your users and financial is only one of them! Expect to learn more about your customers, their needs and how you can better help them. Twitter will help you to look at your business from your customers’ perspective and that alone will bring your business to a whole new level!